“Peer review” is widely regarded as the mechanism by which science manages to produce impartial, unbiased, objective facts and interpretations. As with so many popular notions about scientific activity, this is very far from the truth . Innumerable observers and practicing researchers have written copiously about the many things that are wrong with peer review . Contemporary practices of peer review are only about a century old. They began simply as a way of assisting editors of journals to assess the merits for publication of manuscripts too specialized for the editorial staff itself it to render judgment. The need for such specialized advice was not unrelated to the enormous expansion of scientific activity that followed World War II, bringing an ever-increasing demand for space in scientific periodicals as well as ever-increasing competition between researchers for funding and for getting published as a necessary prerequisite for career advancement and resources for research. At any rate, peer review in science is no more impartial, unbiased, or objective than is criticism of art, music, film, or literary products. One illustration of that: it is becoming quite common for journal editors to ask the authors of submitted manuscripts whether there are individuals who should not be asked to serve as peer reviewers because of their known biases or hostility against the authors. Another point: Peer reviewers are typically chosen because they work on much the same topic as that of the manuscript to be reviewed; thereby they are likely to be to some extent competitors or allies, conflicts of interest that ought to be disbarring. Modern (post-16th-17th-century) science managed to progress and to succeed quite magnificently for several centuries without the current practices of systematic peer-review. The assessing of already published work through further research and commentary gave science the appearance and the effect of being eventually self-correcting. Note “eventually”: the trials and errors and that preceded correction, sometimes for very long periods indeed, were of concern only within the specialized scientific communities, they were not any problem for the wider society. Nowadays, however, society in general and industries and governments in particular have come to look to contemporary science for immediate guidance to significant actions and policies. That makes the fact that peer review is not impartial or objective quite important, and indeed dangerous. The nature of scientific activity and of the scientific community is such that the consensus among those who happen to be the most prominent researchers in any given field comes to control what research gets funded, which results get published and which are suppressed, and what the media and the public and policy-makers take to be “what science says”. Unfortunately, the history of science is far from widely known or appreciated, most notably the fact that the contemporary scientific consensus at any given time has almost invariably turned out, sooner or later, to have been flawed, in minor or major ways. Ignorance of the history of science, together with the misguided view that any prominent contemporary scientific consensus can be safely relied upon to guide social and political actions on any matters that are technical, including matters of medicine and public health, have already resulted in widespread actions that have brought tangible harm on such issues as supposedly human-caused global warming and climate change  and the mistaken belief is that AIDS was caused by a novel virus that destroys the immune system . The closest precedent for these contemporary mistakes seems to be the ideology of eugenics, which led to the forced sterilization of tens of thousands of Americans over a period of more than half a century. Since peer-review is not effectively making science contemporaneously objective and reliable, on matters of social and political importance policymakers badly need some other way to counteract the bias and dogmatic single-mindedness of any contemporary scientific consensus. The only conceivable mechanism to that end would seem to be something like an Institution of Scientific Judgment, as Arthur Kantrowitz suggested half a century ago , a concept that has come to be described as a Science Court . Arthur Kantrowitz, “Proposal for an Institution for Scientific Judgment”, Science, 156 (1967) 763–4. and I’ve mentioned it in a number of other places as well. Sometimes those mentions have brought comments on a variety of blogs. 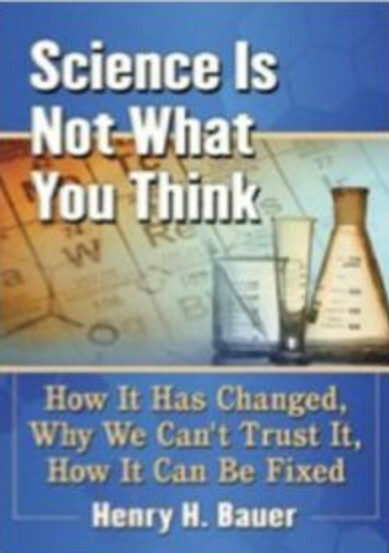 Some raised objections to the idea, unfortunately most commonly individuals who have not read my full discussion of the concept, which comprises the 20 pages of chapter 12 in my latest book, “Science Is Not What You Think” (see reviews of it). Ø Society at large, and policymakers in particular, would benefit from an impartial independent assessment of the evidence respectively for and against the contemporary consensus. The aim of a Science Court would be precisely to facilitate such an impartial independent assessment. The need for such an institution is nowadays quite pressing because on a whole host of topics there is no substantive, open, public, debate between proponents and challengers of the contemporary consensus. 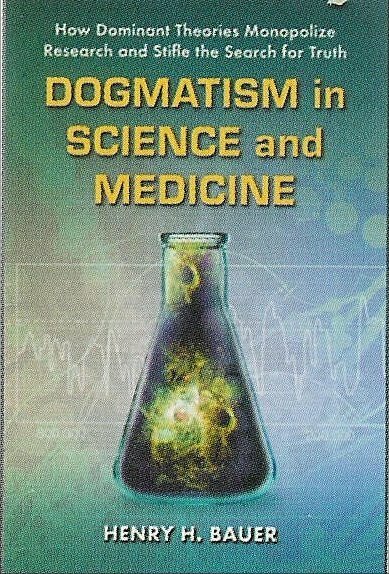 Many of those topics are of little or no immediate practical public significance, say, what the mechanism is of the sense of smell, or what caused the extinction of dinosaurs, or some other matters discussed in my earlier book, Dogmatism in Science and Medicine: How Dominant Theories Monopolize Research and Stifle the Search for Truth (2012) . However, there are also some topics of prime human, social, political importance on which informed and qualified experts have offered strong evidence that the contemporary consensus is dangerously flawed: HIV/AIDS, human-caused global warming and climate change, the role of prescription drugs in preventive medicine. On those, the popular media illustrate well enough that official institutions accept the scientific consensus and dismiss all challenges as “denialism”, no matter how eminent are the challengers. Something like a Science Court would seem to be the only conceivable mechanism by which the consensus could be forced to confront openly and substantively the challenges to its hegemonic, dogmatically held, view. My chapter discusses the benefits the Science Court would bring on questions concerning prescription drugs, climate change, and HIV/AIDS. It also describes the history of the concept of a Science Court, which dates back half a century to qualms about the potential safety of generating power in nuclear reactors, when equally qualified experts were arguing both sides of the issue. In more recent times, several legal scholars have argued that a specifically Science Court would be of considerable benefit to the judicial system in general and as a whole, since that system is called on increasingly to decide cases in which central questions involve scientific evidence and the qualifications of expert witnesses. The pressing need for a Science Court nowadays arises because the scientific consensus cannot be relied upon to deliver the benefits that “science” supposedly brings, namely, the best available impartial, objective, unbiased assessment of what is actually known, what “science” has established. The circumstances of scientific activity have changed, from about pre-WWII to nowadays, from a cottage industry of voluntarily cooperating, independent, largely disinterested ivory-tower intellectual entrepreneurs, where science was free to do its own thing, namely the unfettered seeking of truth about the natural world; to nowadays a bureaucratic corporate-industry-government behemoth in which science has been pervasively co-opted by outside interests and is not free to do its own thing because of the omnipresent conflicts of interest. Influences and interests outside science now control the choices of research projects and the decisions of what to publish and what not to make public. Aspects of that change were noted by John Burnham in his book, How Superstition Won and Science Lost (1987), and by Jacques Barzun in his magisterial From Dawn to Decadence: 1500 to the Present: 500 Years of Western Cultural Life (2000). Science nowadays plays much the same societal role as the Roman Catholic Church did in Western Civilization before the Reformation and the Enlightenment. The Church had become corrupted through bureaucracy and self-interest and the dysfunctions that arise inevitably as a result of human failings when an activity becomes too big and too powerful. It became obvious that the Church’s policies and actions had grown seriously at variance with its founding ideals. The Reformation and the Enlightenment brought and demonstrated the benefits of empirical, rational, evidence-based, pragmatism in the search for reliable understanding, by contrast to taking for granted what the authorities said. Today’s scientific activity has become similarly dysfunctional through growing too big and too influential; something like a Science Court is needed to bring society the benefits of empirical, rational, evidence-based, pragmatism in the search for reliable insights. “What everyone knows” is that burning fossil fuels releases carbon dioxide, a “greenhouse gas” that holds in heat, warming the Earth and causing climate change, with catastrophic consequences if it isn’t stopped soon. All official agencies, all mainstream scientific groups, say that. What few people know is that a considerable number of experts and informed observers do not believe this AGW scenario to be correct: AGW = Anthropogenic Global Warming, global warming caused by human actions. Those dissenting experts point out that actual data on temperature and carbon-dioxide levels, over the life of the Earth but also over the last century, show that carbon dioxide does not cause high global temperature. But few people, again, can believe that “everyone” could be wrong about this, that “science” could be so dogmatically wrong. To form an opinion as to the relative merits of the official view and of the dissenting experts, therefore requires not only looking at the data but also at how the official view came into bring and how and why it persists. Few people want to take the time and make the effort to wade through huge amounts of writings by opposing advocates to ferret out the genuine facts and legitimate conclusions, which often calls for reading between the lines and being skeptical about everything. My recent discovery of the Peter Ridd affair had a wonderfully beneficial consequence, learning about the writings of Don Aitkin, an Australian whose academic career included research on social and political matters as well as administrative experience that included heading a university (as Vice-Chancellor and President of the University of Canberra). Aitkin spent a decade or more reading and thinking about AGW, and summarized what he learned in a series of blogs. The last in the series, #16, sums things up and has appropriate links to the earlier ones which concentrate on different aspects of the matter. This offers a wonderfully convenient way for anyone to become genuinely informed about AGW, and “climate-change denialism”, and incidentally about the interaction between science and public policy. Aitkin is factually reliable and ideologically unbiased, an all-too-rare combination. My appreciation of Aitkin’s series on global warming was enhanced when he noted that the hysteria over AGW “bridges the space between science and politics in an almost unprecedented way, though it has some similarities to the ‘eugenics’ issue a hundred years ago”, something that had occurred to me also. There is good scientific evidence that human activities are influencing the climate. But evidence is not fact, and neither evidence nor fact speak for themselves. The evidence for anthropogenic climate change is neither as strong nor as demanding of action as is widely claimed. Our ability to mitigate, let alone to reverse, any such change through reductions in CO2 emissions is even less certain, and may itself be harmful. The scientific consensus on climate change as widely reported inaccurately reflects the true state of scientific knowledge. How society should proceed in the face of a changing climate is the business of politics not science. Political arguments about climate change are routinely mistaken for scientific ones. Environmentalism uses science as a fig-leaf to hide an embarrassment of blind faith and bad politics. Science is increasingly expected to provide moral certainty in morally uncertain times. The IPCC is principally a political organisation. The current emphasis on mitigation strategies is impeding society’s ability to adapt to a changing climate, whatever its cause. The public remains unconvinced that mitigation is in its best interest. Few people have really bought into Environmentalism, but few people object vehemently to it. Most people are slightly irritated by it. And yet climate change policies go unchallenged by opposition parties. Environmentalism is a political ideology, yet it has never been tested democratically. Widespread disengagement from politics means that politicians have had to seek new ways to connect with the public. Exaggerated environmental concern is merely serving to provide direction for directionless politics. Environmentalism is not the reincarnation of socialism, communism or Marxism. It is being embraced by the old Right and Left alike. Similarly, climate change scepticism is not the exclusive domain of the conservative Right. Environmentalism will be worse for the poor than climate change. Environmentalism is a self-fulfilling prophecy. Aitkin is an Australian, and any connection to Australia always rekindles my appreciation for the sanctuary Australia provided the refuigee Bauers and the excellent public education from which I benefited in elementary school (Picton, NSW), at The Sydney Boys’ High School, and at the University of Sydney (moreover, in those years, at almost no cost to my parents!). Browsing Aitkin’s writings, I came across an after-dinner speech about “Australian values” that rings true to my own recollections and also, I think, offers some insights into the similarities and differences between American and Australian life. “Ridd’s expertise is in coastal oceanography and the impact of sediments on reefs and, for years, he has criticised research suggesting the Great Barrier reef is in serious trouble due to global warming and agricultural run-off, among other things. He claims the research lacks quality assurance, isn’t replicated often enough, and that the peer review system for research is inadequate. . . . This was enough for the university to censure Ridd on the grounds that he breached the code of conduct by ‘going to the media in your professional capacity in a way that was not collegial and did not respect the rights of others or uphold professional standards’. It was a warning. Ridd could make public comments but they ‘must be in a collegial manner that upholds the university and individuals’ respect’”. In other words, don’t offer evidence that contradicts the mainstream view, especially if there are mainstream proponents in your own university. Academic freedom to teach and publish? Open-minded science that respects evidence? Read the full article in The Guardian: Gay Alcorn, “Peter Ridd’s sacking pushes the limit of academic freedom”. Note that the journalist, Alcorn, takes human-caused climate change as Gospel truth, yet recognizes that the University fired Ridd because he sought media prominence for his views and refused to allow himself to be censored into not speaking publicly about the University’s actions against him. The Guardian, a stalwart supporter of left-leaning political correctness, could not quite bring itself to state straightforwardly that the university stepped way over the line as to academic freedom, but that’s a minor quibble; I congratulate Gay Alcorn and The Guardian for straight, unbiased reporting. Ridd has sued the University and raised funds for his legal costs though crowd-funding; “the court hearing has been set for 12, 13 and 14th November”. “What everyone knows” is all too often wrong, as I pointed out years ago, specifically about science punditry and TED talks and books; and about climate change; see also Who guards the guardians? Who guards science? ; “Dangerous knowledge”; Dangerous knowledge II: Wrong knowledge about the history of science; Dangerous knowledge III: Wrong knowledge about science; Dangerous knowledge IV: The vicious cycle of wrong knowledge. Perhaps the main reason for “everyone” being wrong about so many things is that most of us take our knowledge on most or even all matters on the authority of other people, and those are all too often unwitting or witting false prophets . Very few people ever bother to look for themselves into what the actual evidence is for commonly held beliefs. I had become interested long ago in what science is and how it works, and my academic work came to focus on the “hard cases”: controversies in science, particularly the roles played by minority views and claims. So I had the time as well as the interest to dig quite deeply into the facts underlying a number of controversies, including controversies that the mainstream asserts not to be controversial. That is how I came to realize, for example, that HIV has never been proven to be the cause of AIDS, indeed has never even been proven to exist . Almost invariably the answer is, “Everyone knows that”. Increasingly since the 19th century, perhaps since about the early-to-middle 19th century, “science” has become the authority for most people as well as for organizations both private and public . That even includes many scholars and pundits of whom one might expect better: When I had first collated HIV-test data and was giving talks about the failings of HIV/AIDS theory, a sociologist in a Science-Studies program said that I must be wrong because “tens of thousands of papers” had been published in the HIV=AIDS genre. Until the most recent few decades, science has rarely played the role of false prophet on issues sufficiently salient as to inform public policies and actions; an exception in the first quarter of the 20th century was when misguided expert opinion about genetics and heredity led to the forced sterilization of tens of thousands of Americans . Nowadays, unfortunately, science has grown so large and unwieldy as to be in many ways dysfunctional , so that it has given bad advice on at least two matters of considerable public importance: not only HIV/AIDS  but also climate change . In past times and on less prominent issues whose significance rarely matters outside the scientific community itself, “science” has quite typically been wrong before it got things right. The “scientific consensus” at any given time is tentative and temporary; yet, human nature being what it is, the elite proponents of the consensus have always defended their view vigorously, including denigrating and even persecuting fellow scientists who disagree . A point that seems powerful to a lay person like myself is that the dinosaur extinction was the fifth major mass extinction indicated by the fossil record, and expert opinion seems to be almost undivided that the first four extinctions had been caused by extremes of volcanic action. The Atlantic article is also commendably accurate about contemporary science in noting how vigorously the mainstream consensus, the ruling elite, defends its point of view, how unscrupulously at least some members of that elite and their acolytes attack those who dissent; science has become riddled with knowledge monopolies. Many examples of that sad state of affairs are at hand in a number of other fields : Big-Bang cosmology, amyloid plaque as cause of Alzheimer’s disease, anti-depressant and other prescription drugs, first human settlement of the Americas, nuclear “cold fusion”, dangers of second-hand smoke, plate tectonics (“continental drift”), mechanism of the sense of smell, physiological correlates of schizophrenia, risks from mercury compounds in tooth fillings and in vaccines, possible relation between certain multiple vaccines and autism… . It is really quite stunning, how many cases there are where “what everyone knows”, namely, the reigning scientific consensus, is questionable in light of the actual evidence, the unquestioned data. That last is a most important thing that everyone does not know but should. As an academic Dean once remarked “Saying so, makes it so”, when the sayer is someone in some sort of authority. For many discussions, with source references, about the politicized nature of this controversy and the fact that the actual observational data do not support the hypothesis of carbon-dioxide-induced global warming (let alone carbon-dioxide-induced climate change), see the articles at https://scimedskeptic.wordpress.com/ that come up when setting “climate change” in the “Search” box. The literature on these points is vast. Pertinent sections of reference  cover much of this ground and cite many other sources; see also reference . the overarching determinant of global temperature. Over the life of the Earth, carbon dioxide levels have been far higher than now during Ice Ages, for example. Since the mid-19th-century Industrial Revolution, levels of carbon dioxide have increased while temperatures were cooling rather than warming during ~1880-1910 and ~1940-1970s, and they have remained relatively steady since ~1998; see sources cited in Climate-change facts: Temperature is not determined by carbon dioxide. The lack of warming since the start of the 21st century is acknowledged surreptitiously by the Royal Society of London and the U.S. National Academy of Sciences in offering attempted explanations for it. How has it happened that essentially the whole official world insists mistakenly that human generation of carbon dioxide is causing unnatural warming and climate change? How could that happen in this modern era in which science is the supreme intellectual authority? A huge literature of books, articles, pamphlets, and blogs has rehearsed the substantive flaws in the belief that human generation of carbon dioxide is causing global warming (AGW, Anthropogenic Global Warming) and climate change (ACC). There has not, however, been the same degree of analysis of how national and international institutions have come to accept this mistaken notion to the extent of making policies based on it. Christopher Booker has now offered an explanation in GLOBAL WARMING: A case study in groupthink. So just as Groupthink led to the policy disasters of Pearl Harbour, the Bay of Pigs fiasco and Johnson’s escalation of the Vietnam war, attempts to suppress serious debate of climate science and the policies that are being promoted as solutions are leading to irrational behaviour, costly policy blunders and corruption on an unprecedented scale. This will only end when groupthink eventually bumps up against reality. “Every South Sea Bubble ends in a crash. Every form of Groupthink eventually has its day. This is invariably what happens when human beings get carried along by the crowd, simply because they have lost the urge or ability to think for themselves” . I would differ with that last comment, however. Human beings do not customarily lose the urge or ability to think for themselves, all too often they never acquired it. That ability is not genetically inherent and it has to be gained against strong odds. We humans are raised to believe what we’re taught, by parents, by teachers, and by preachers and sundry self-appointed prophets; nowadays, by intrusive media and innumerable internet sources claiming to offer reliable facts and insights. The question is not, how people can believe clearly wrong things, even absurd things: examples are everywhere of people devoutly believing things that are against logic and against tangible facts. The mystery is how some people manage, at least some of the time, to come to think for themselves by forming beliefs on the basis of evidence, thereby rejecting their earlier indoctrination . Ø A group of people come to share a particular view or belief. Ø They defend it with irrational, dismissive hostility towards anyone who disagrees. GLOBAL WARMING: A case study in groupthink shows rather convincingly how these factors played out in the rise and subsequent hegemony of AGW belief. This historical analysis is invaluable in revealing the specific actions of specific actors that led initially to AGW belief among a group of scientists. That belief was congenial to various groups, outside the scientific community (notably environment al activists) whose internal consensuses then in turn also display the characteristic features of Groupthink. Beliefs come in a very wide range of degrees of intensity. Human groups display conformity in matters small and large, sometimes to the degree of unanimity, and Groupthink is intellectual conformity that demands unanimity within the group. Over AGW, this demand for unanimity is displayed in actions as well as words, in the conviction of being right and the hostility towards disbelievers, as when the latter are referred to as ignoramuses (“Flat-Earthers” is a common epithet) or as “denialists”, harking to the morally despicable genre of Holocaust deniers. It has not often enough been remarked, how extraordinary it is that disagreements between scientists reach the level of hostility of charging fellow scientists not just with being ridiculously wrong but also with being as morally despicable as Holocaust deniers. And it also goes against the conventional wisdom about science to suggest that Groupthink exists in the scientific community. Popularly, scientists are regarded as strikingly individual, whether it be in a laudable way (Galileo, Darwin, Einstein) or the opposite (Dr. Frankenstein and other mad or evil scientists ). The conventional wisdom has not yet grasped just how drastically different today’s science is from its popular image; that was formed by the earlier centuries of modern (since ~17th century) and has not digested the enormous changes since about World War II . Science nowadays is by and large a group activity. That is not to deny that scientists see themselves as individuals, but they are also to varying degrees subject to group influences. Chemists (say) not only do individual work toward a particular goal, they are aware of and accommodate in various ways the other chemists working toward the same or similar goals, be it in the same institution or elsewhere; and they also share some group interests with other chemists in their own institution who may be working on other projects. Chemists everywhere share group interests through national and international organizations and publications. Beyond that, chemists share with biologists, biochemists, physicists and others the group interest of being scientists, of having a professional as well as personal interest in the prestige and status of science in the wider society. The most intense group feeling of course concerns whatever the immediate research project is, since that determines professional career status, prestige, future prospects. If it were to turn out that AGW is wrong, that human generation of carbon dioxide is not causing global warming and climate change, this would be devastating for the careers of current proponents of AGW, and for their institutions. Little wonder, then, that the dogma of AGW is defended with such determination. Intense competitiveness in science and its sad consequences became significant only since the second or third quarter of the 20th century, so AGW is something of a new phenomenon, international acceptance of a mistaken scientific consensus. 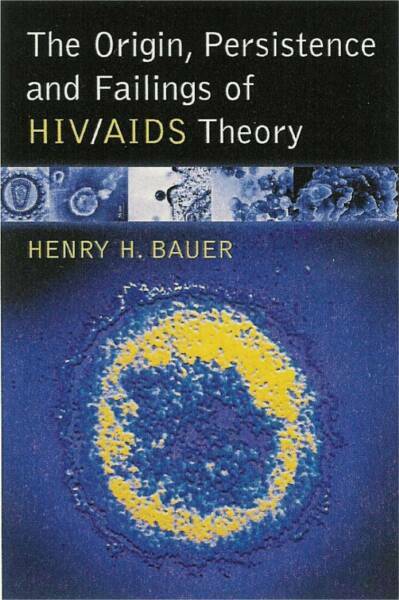 There is one other instance already, though, which also took hold in the last couple of decades of the 20th century: the theory that HIV causes AIDS. That is distinctly contrary to copious evidence (The Case against HIV) yet it is propounded and defended so determinedly that it is simply inconceivable that official bodies would ever come to acknowledge that the theory is wrong (OFFICIAL! HIV does not cause AIDS!). I. L. Janis, Victims of Groupthink, 1972; Groupthink, 1982, Houghton Mifflin. Paul’t Hart, “Irving L. Janis’ Victims of Groupthink”, Political Psychology, 12 (1991) 247-78. NEW STUDY: CLIMATE GROUPTHINK LEADS TO A DEAD END. See “Motives for Believing”, chapter 11 in Beyond Velikovsky: The History of a Public Controversy, University of Illinois Press 1984/1999. Roslynn D. Haynes, From Faust to Strangelove: Representations of the Scientist in Western Literature, Johns Hopkins University Press, 1994; David J. Skal, Screams of Reason: Mad Science and Modern Culture, W. W. Norton, 1998. Science Is Not What You Think — how it has changed, why we can’t trust it, how it can be fixed (McFarland, 2017), chapter 1.
Who guards the guardians? Who guards science? Quis custodiet ipsos custodes? This quotation attributed to Juvenal describes the inescapable dilemma as to how societies can be governed . Today’s guardian of reliable knowledge is science. It is the acknowledged authority on the natural world, on what exists in the world and on how those things behave. Most governments accept as reliable, as true for all practical purposes, whatever the current scientific consensus is: on matters of health, the environment, the solar system, the universe. The mass media, too, accept that scientific consensus; and that largely determines what the general public believes, “what everyone knows”. Nowadays in that category of “what everyone knows” there are literally innumerable things; among them that the universe began with a Big Bang; that ghosts and Loch Ness Monsters do not exist; that HIV causes AIDS; that hypertension causes heart attacks and strokes; that carbon dioxide released by burning fossil fuels is causing climate change and bringing more frequent and more extreme and more damaging events like hurricanes; etc., etc. But what guards against the scientific consensus being wrong? That really matters, because the history of science is crystal clear that contemporary science, the contemporary scientific consensus, has almost invariably been wrong until further progress superseded and replaced it. That steady improvement over the centuries gave rise to a comforting shibboleth, that “science is self-correcting”. At any given moment, however, the scientific consensus stands possibly uncorrected and awaiting future “self”-correction. One cannot justifiably assert, therefore, that any contemporary scientific consensus is known to be unquestionably true. It is not known with absolute certainty that the universe began with a Big Bang; that ghosts and Loch Ness Monsters do not exist; that HIV causes AIDS; that hypertension causes heart attacks and strokes; that carbon dioxide released by burning fossil fuels is causing climate change and bringing more frequent and more extreme and more damaging events like hurricanes; etc., etc. Nevertheless, contemporary society treats these and other contemporary scientific consensuses as true. This amounts to what President Eisenhower warned against: that “public policy could itself become the captive of a scientific-technological elite” . Science can indeed mislead public policy, as when tens of thousands of Americans were forcibly sterilized in the misguided belief that this improved the genetic stock . Science is far from automatically or immediately self-correcting . I’ve wondered how Eisenhower could have been so prescient in 1960, because the conditions that conduce to public policies being misled by science were then just beginning to become prominent: the massive governmental stimulation of scientific activity that has produced today’s dysfunctional hyper-competitiveness, with far too many would-be researchers competing for far too few reliably permanent positions and far too little support for the resources that modern research needs . Moreover, the scientific consensus is guarded not only by the scientists who generated it, powerful societal institutions are vested in the correctness of the scientific consensus : It is virtually inconceivable, for instance, that official bodies like the National Institutes of Health, the Food and Drug Administration, the Centers for Disease Control & Prevention, the World Health Organization, and the like would admit to error of the views that they have promulgated; try to imagine, for example, how it could ever be officially admitted that HIV does not cause AIDS . Reflect on how you formed an opinion about — Big-Bang theory? Loch Ness Monsters? Ghosts? Climate change? … etc. etc. Almost always it will not have been by looking into the evidence but rather by trusting someone’s assertion. Who has the interest, time, and energy to study all those things? Obviously we must take our beliefs on many matters from trusted authorities; and for a couple of centuries the scientific consensus has been a better guide than most others. But that is no longer the case. The circumstances of 21st-century science mean that society needs guardians to check that what the scientific consensus recommends for public policy corresponds to the best available evidence. On many issues, a minority of experts differs from the scientific consensus, and it would be valuable to have something like a Science Court to assess the arguments and evidence pro and con . I’ve had the luxury of being able to look into quite a few topics because that was appropriate to the second phase of my academic career, in Science & Technology Studies (STS). 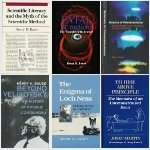 Through having made a specialty of studying unorthodoxy in science, I stumbled on copious examples of the scientific consensus treating, in recent times, competent minority opinions well within the scientific community with the same disdain, or even worse, as that traditionally directed towards would-be science, fringe science — Loch Ness Monsters, ghosts, UFOS, and the like. In Dogmatism in Science and Medicine , I pointed to the evidence that the contemporary scientific consensus is wrong about Big-Bang theory, global warming and climate change, HIV/AIDS, extinction of the dinosaurs, and more, including what modern medicine says about prescription drugs. The failings of the scientific consensus in modern medicine have been detailed recently by Richard Harris  as well as in many works of the last several decades . That the scientific consensus is wrong about HIV and AIDS is documented more fully in The Origin, Persistence and Failings of HIV/AIDS Theory (McFarland, 2007). Why science has become less believable is discussed in , which also describes many misconceptions about science and about statistics, the latter bearing a large part of the blame for what’s wrong with today’s medical practices. But my favorite obsession over where the scientific consensus is wrong remains the existence of Loch Ness “Monsters”, Nessies. It was my continuing curiosity about this that led to my career change from chemistry to STS, which brought many unforeseeable and beneficial side-effects. My 1986 book, The Enigma of Loch Ness: Making Sense of a Mystery , showed how the then-available evidence could be interpreted to support belief in the reality of Nessies but could also be plausibly enlisted to reject the reality of Nessies. However, the book’s chief purpose was to explain why seeking to “discover” Nessies was not a sensible task for organized science. Now in 2018 quite proper science, in the guise of “environmental DNA”, has offered a good chance that my belief in the reality of Loch Ness “Monsters” may be vindicated within a year or so by mainstream science. I plan to say more about that soon. One of the common and popular shibboleths about science is that it is self-correcting. That implies happening inevitably and automatically. But despite the existence of innumerable scientific organizations and institutions, there is no overarching system or set of protocols or hierarchy that governs all scientific activity. Nothing about scientific activity is automatic or inevitable. The illusion of self-correction may trace back to the fact that science has surely progressed over time, to better and deeper understanding of how the world works, superseding and rejecting mistakes and misunderstandings. However, this correcting of earlier mis-steps was never automatic; more important, it was never a sure thing. Barber  surveyed the long history of hegemonic scientific consensuses vigorously resisting correction. Stent  described the phenomenon of “premature discovery” whereby some hegemonic scientific consensuses have forestalled correction for decades — about 40 years with Mendel’s quantitative insight into heredity, about half a century with Wegener’s insight into continental movements. Barber and Stent dealt with the more-or-less classic modern science that subsisted up until about the middle of the 20th century, the sort of science whose ethos could be fairly adequately described by the Mertonian Norms ; a cottage industry of independent, voluntarily cooperating, largely disinterested ivory-tower intellectual entrepreneurs in which science was free to do its own thing, seeking truths about the natural world. Individuals were free to publish their results with little or no hindrance. There were plenty of journals and plenty of journal space, and editors were keen to receive contributions: “From the mid-1800s, there was more journal space than there were articles . . . . assistant editors [had the] . . . primary responsibility . . . to elicit articles and reviews to fill the pages of the publication” . The onus for ensuring that published work was sound rested on the authors, there was not the contemporary gauntlet of “peer reviewers” to run: “for most of the history of scientific journals, it has been editors — not referees — who have been the key decision-makers and gatekeepers. . . . 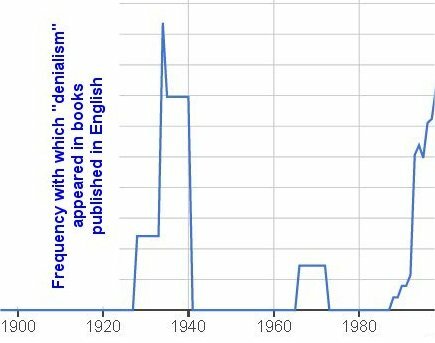 It was only in the late 20th century that refereeing was rebranded as ‘peer review’ and acquired (or reacquired) its modern connotation of proof beyond reasonable doubt. . . . A Google ngram — which charts yearly frequencies of any phrase in printed documents — makes the point starkly visible: it was in the 1970s that the term ‘peer review’ became widely used in English. [We] . . . do not yet know enough about why the post-war expansion of scientific research . . . led to . . . ‘peer review’ [coming] . . . to dominate the evaluation of scholarly research” . Nowadays, by contrast, where publication makes a career and lack of publication means career failure, journals are swamped with submissions at the same time as costs have exploded and libraries are hard pressed to satisfy their customers’ wishes for everything that gets published. Journals are now ranked in prestige by how small a proportion of submissions they accept, and “peer review” is pervaded by conflicts of interest. The overall consequence is that the “leading journals” hew to the current “scientific consensus” so that unorthodoxies, radical novelties, minority views find it difficult to get published. How extreme can be the efforts of “the consensus” to suppress dissent has been profusely documented on a number of topics, including the very publicly visible issues of HIV/AIDS and climate change [6, 7, 8]. Where the consensus happens to be in need of “self-correction”, in other words, today’s circumstances within the scientific community work against any automatic or easy or quick correction. That situation is greatly exacerbated by the fact that correction nowadays is no simple revising of views within the scientific community. “Science” has become so entwined with matters of great public concern that particular beliefs about certain scientific issues have large groups of influential supporters outside the scientific community who seek actively to suppress dissent from “the consensus”; over HIV/AIDS, those groupies who abet the consensus include the pharmaceutical industry and activist organizations largely supported by drug companies; over climate change, environmentalists have seized on “carbon emissions” as a weapon in their fight for sustainability and stewardship of nature. Science is not inevitably or automatically self-correcting. Its official agencies, such as the Food and Drug Administration, the Centers for Disease Control & Prevention, the National Institutes of Health, the World Health Organization, etc., are captives of the contemporary scientific consensus and thereby incapable of drawing on the insights offered by minority experts, which is also the case with the peer-review system and the professional journals. Even when outright fraud or demonstrated honest mistakes have been published, there is no way to ensure that the whole scientific community becomes aware of subsequent corrections or retractions, so errors may continue to be cited as though they were reliable scientific knowledge. Even the journals regarded as the most reliable (e.g. Nature journals, Cell, Proceedings of the National Academy) make it quite difficult for retractions or corrections to be published , and even complete retraction seemed to reduce later citation by only about one-third, very far from “self-correcting” the whole corpus of science . Popular stereotypes of scientists picture them as strikingly individual, whether admirably so (Galileo, Darwin, Einstein) or the opposite (Dr. Frankenstein and other mad or evil scientists ). That is one of the most significant ways in which the folklore about science differs from today’s reality: Science nowadays is by and large a group activity, and that has many far-reaching corollaries. This is not to deny that scientists see themselves as individuals and act as individuals, but they are also influenced to varying degrees by group memberships and associated loyalties, and that can interfere with truth-seeking. Memberships in groups and the associated loyalties is a common human experience. First comes the family group; then there is the extended family or clan, and perhaps subgroups of the clan. Other groups cut across different lines, defined by religion, by ethnicity, by nationality; and also, very much pertinent to the circumstances of science, there are groups associated with the way in which we earn a living; we are influenced by our memberships in professional guilds or trade unions. Under some circumstances it becomes necessary to set priorities with respect to loyalty to the various groups to which we belong. In most circumstances the highest priority is on loyalty to the family, though some individuals have placed a higher priority on religion or some other ideology. Among professional researchers, the most important thing is the current research project and the associated paradigm and scientific consensus: going with this group is the way to further a career whereas dissenting from the group can spell the blighting of a career. The groups to which scientists belong is one of the most significant aspects of scientific activity, and that has changed fundamentally in recent times, since about WWII. In the earlier stages of modern science, what we by hindsight describe as scientists were individuals who, for a variety of reasons, were interested in learning to understand the way the natural world works. One of the most crucial foundations of modern science came when groups of such inquiring minds got together, at first informally but soon formally; the Royal Society of London is generally cited as iconic. Those people came together explicitly and solely to share and discuss their findings and their interpretations. At that stage, scientists belonged effectively to just one science-related group, concerned with seeking true understanding of the workings of the world. Since this was a voluntary activity engaged in by amateurs, in other words by people who were not deriving a living or profit from this activity, these early pre-scientists were not much hindered from practicing loyalty simply to truth-seeking; it did not conflict with or interfere with their loyalties to their families or to their religion or to their other social groups. As the numbers of proto-scientists grew, their associations were influenced by geography and therefore by nationality, so there came occasions when loyalty to truth-seeking was interfered with by questions of who should get credit for particular advances and discoveries. Even in retrospect, British and French sources may differ over whether the calculations for the discovery of Neptune should be credited most to the English John Couch Adams or the French Urbain Le Verrier — and German sources might assert that the first physical observation of the planet was made by Johann Gottfried Galle; again, British and German sources may still differ by hindsight over whether Isaac Newton or Gottfried Wilhelm Leibniz invented the calculus. Still, for the first two or three centuries of modern science, the explicit ideal or ethos of science was the unfettered pursuit of genuine truth about how the world works. Then, in the 1930s in Nazi Germany and decades later in the Soviet Union, authoritarian regimes insisted that science had to bend to ideology. In Nazi Germany, scientists had to abstain from relativity and other so-called “Jewish” science; in the Soviet Union, chemists had to abstain from the rest of the world’s theories about chemical combination, and biologists had to abstain from what biologists everywhere else knew about evolution. In democratic societies, a few individual scientists were disloyal to their own nations in sharing secrets with scientists in unfriendly other nations, sometimes giving as reason or excuse their overarching loyalty to science, which should not be subject to national boundaries. By and large, then, up to about the time of WWII, scientific activity was not unlike how Merton had described it , which remains the view of it that most people seem still to have of it today: Scientists as truth-seeking individuals, smarter and more knowledgeable than ordinary people, dedicated to science and unaffected by crass self-interest or by conflicts of interest. That view does not describe today’s reality, as pointed out in earlier posts in this series [2, 3]. The present essay discusses the consequences of the fact that scientists are anything but isolated individuals freely pursuing truth; rather, they are ordinary human beings subject to the pressures of belonging to a variety of groups. Under those conditions, the search for truth can be hindered and distorted. Chemists (say) admittedly do work individually toward a particular goal, but that goal is not freely self-selected: either it is set by an employer or by a source of funding that considered the proposed work and decided to support it. Quite often, chemists nowadays work in teams, with different individuals focusing on minor specific aspects of some overall project. They are aware of and accommodate in various ways other chemists who happen to be working toward the same or similar goals, be it in the same institution or elsewhere; and they also share some group interests with other chemists in their own institution who may be working on other projects. Chemists everywhere share group interests through national and international organizations and publications. Beyond that, chemists share with biologists, biochemists, physicists and others the group interest of being scientists, having a professional as well as personal interest in the overall prestige and status of science as a whole in the wider society — at the same time as chemists regard their discipline as just a bit “better” than the other sciences, it is “the central science” because it builds on physics and biologists need it; whereas physicists have long known that their discipline is the most fundamental, “the queen of the sciences”, without which there could not be a chemistry or any other science; and so on — biologists know that their field matters much more to human societies than the physical sciences since it is the basis of understanding living things and is indispensable for effective medicine. So scientists differ among themselves in a number of ways. All feel loyalty to science by comparison to other human endeavors, but especial loyalty to their own discipline; and within that to their particular specialty — among chemists, to analytical or inorganic or organic or physical chemistry; and within each of those to experimental approaches or to theoretical ones. Ultimately, all researchers are obsessed with and loyal to the very specific work they are engaged in every day, and that may be intensely specialized. For example, researchers working to perfect computer models to mimic global temperatures and climate do just that; they do not have time to work themselves at estimating past temperatures by, for instance, doing isotope analyses of sea-shells. Since such ultra-specialization is necessary, researchers need to rely on and trust those who are working in related areas. So those who are computer-modeling climate take on trust what they are told by geologists about historical temperature and climate changes, and what the meteorologists can tell them about relatively recent weather and climate, and what physicists tell them about heat exchange and the absorption of heat by different materials, and so on. With all that, despite the fact that research is done within highly organized and even bureaucratic environments, there is actually no overarching authority to monitor and assess what is happening in science, let alone to ensure that things are being done appropriately. In particular, there is no mechanism for deciding that any given research project may have gone off the rails in the sense of drawing unwarranted conclusions or ignoring significant evidence. There is no mechanism to ensure that proper consideration is being given to the views of all competent and informed scientists working on a particular topic. A consequence is that on quite a range of matters, the so-called scientific consensus, the view accepted as valid by society’s conventional wisdom and by the policy makers, may be at actual odds with inescapable evidence. That circumstance has been documented for example as to the Big-Bang theory in cosmology, the mechanism of smell, the cause of Alzheimer’s disease, the cause of the extinction of the dinosaurs, and more . Of course, the scientific consensus was very often wrong on particular matters throughout the era of modern science. Moreover, the scientific consensus defends itself quite vigorously against the mavericks who point out its errors , until eventually the contrary evidence becomes so overwhelming that the old views simply have to give away, in what Thomas Kuhn  described as a scientific revolution. Defense of the consensus illustrates how strong the group influence is on the leading voices in the scientific community; indeed, it has been described as Groupthink . The success of careers, the gaining of eminence and leadership roles hinge on being right, in other words being in line with the contemporary consensus; thus admitting to error can be tantamount to loss of prestige and status and destruction of a career. That is why Max Planck, in the early years of the 20th century, observed that “A new scientific truth does not triumph by convincing its opponents and making them see the light, but rather because its opponents eventually die, and a new generation grows up that is familiar with it” ; a paraphrase popular among those of us who question an established view is that “Science progresses funeral by funeral”. At the same time as the history of science teaches that any contemporary scientific consensus is quite fallible and may well be wrong, it also records that — up to quite recent times — science has been able to correct itself, albeit it could take quite a long time — several decades in the case of Mendel’s laws of heredity, or Wegener’s continental drift, or about the cause of mad-cow diseases or of gastritis and stomach ulcers. Unfortunately it seems as though science’s self-correction does not always come in time to forestall society’s policy-makers from making decisions that spell tangible harm to individuals and to societies as a whole, illustrating what President Eisenhower warned against, that “public policy could itself become the captive of a scientific-technological elite” . More about that in future blog posts. How science has changed: Who are the scientists? Nowadays, questioning whether HIV causes AIDS, or whether carbon dioxide causes global warming, is often deplored and attacked as “denialism” or pseudo-science. Yet questioning those theories is perfectly good, normal science. Science is many things, including a human activity, an institution, an authority, but most centrally science means knowledge and understanding. Pseudo-science correspondingly means false claims dressed up as though they were reliable, genuine science. Denialism means refusing to believe what is unquestionably known to be true. Knowledge means facts; understanding means theories or interpretations; and an essential adjunct to both is methodology, the means by which facts can be gathered. There is an important connection not only between methods and facts but also between facts and theories: Un-interpreted facts carry no meaning. They are made meaningful only when connected to a conceptual framework, which is inevitably subjective. That is typically illustrated by diagrams where the facts consist of black and white lines and areas whose meaning depends on interpretations by the viewer. Different observers offer different interpretations. Twin black profiles looking at one another OR a white vase. In science, researchers often differ over the interpretation of the evidence: the facts are not disputed but different theories are offered to explain them. At any rate, in considering what science can tell us we need to consider the three facets of science: facts, methods, and theories . Normal scientific activity is guided by established theories and applies established methods to enlarge the range of factual knowledge. Every now and again, something unconventional and unforeseen turns up in one of those three facets of science. It might be a new interpretation of existing facts, as in the theory of relativity; or it may be the application of a novel method as in radio-astronomy; or it may be the observation of previously unsuspected happenings, facts, for instance that atoms are not eternally stable and sometimes decompose spontaneously. When something of that sort happens, it is often referred to later as having been a scientific revolution, overturning what had been taken for granted in one facet of science while remaining content with what has been taken for granted in the other two facets. The progress of science can be viewed as revolutions in facts, or in method followed by the gaining of possibly revolutionary facts, followed eventually by minor or major revisions of theory. Over a sufficiently long time — say, the several centuries of modern (post-17th-century) science — the impression by hindsight is of continual accumulation of facts and improvement of methods; the periodic changes in theoretical perspective are all that tends to be remembered by other than specialist historians of science. The history of science also records episodes in which researchers proposed something novel simultaneously in two facets of science, for example when Gregor Mendel applied simple arithmetic to observations of plant breeding, an unprecedented methodology in biology that thereby uncovered entirely new facts. Another example might be the suggestion by Alfred Wegener in the early decades of the 20th century that the Earth’s continents must have moved, since the flora and fauna and geological formations are so alike on continents that are now far apart; making comparisons across oceans was an entirely novel methodology, and there was no theory to accommodate the possibility of continents moving. Episodes of that sort, where two of the three facets of science are unorthodox, have been labeled “premature science” by Gunther Stent ; the scientific community did not accept these suggestions for periods of several decades, until something more conventional showed that those unorthodox proposals had been sound. When claims are made that do not fit with established theory or established methods or established facts, then those claims are typically dismissed out of hand and labeled pseudo-science. For example, claims of the existence of Loch Ness “monsters” involve unorthodox facts obtained by methods that are unorthodox in biology, namely eyewitness accounts, sonar echoes, photographs, and films, instead of the established way of certifying the existence of a species through the examination of an actual specimen; and the theory of evolution and the accepted fossil record have no place for the sort of creature that eyewitnesses describe. In recent years it has it has been quite common see dissent from established scientific theories referred to as “denialism”. The connotation of that term “denialism” is not only that something is wrong but that it is reprehensibly wrong, that those who question the established view should know better, that it would be damaging to pay attention to them; moreover that denying (for example) that HIV causes AIDS is as morally distasteful as denying the fact of the Holocaust in which millions of Jews, Gypsies, and others were killed. 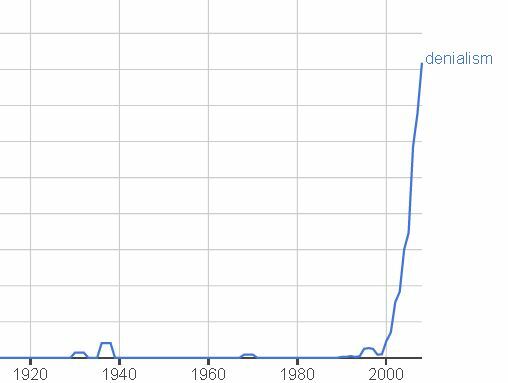 This recent usage of “denialism” is consciously and specifically intended to arouse the moral outrage associated with denial of genocides, as admitted (for example) by the South African jurist Edwin Cameron . But those genocides are facts, proved beyond doubt by the records of deaths as well as remains and various artefacts at concentration camps. By contrast, so-called “AIDS denialism” and so-called “climate-change denialism” or “global warming denialism” are the questioning or disputing of theories, not facts. ⇒⇒ On the matter of whether HIV causes AIDS, dissidents do not question anything about established methods of virology, and they do not claim that HIV tests do not measure proteins, antibodies, and bits of genetic material; they merely assert that the results of HIV tests do not fit the theory that HIV is an infectious agent, and they assert that the methods used in HIV AIDS research are not sound methods for studying viruses since they have not been verified against experiments with authentic pure HIV virions derived directly from HIV+ individuals or from AIDS patients (The Case against HIV). ⇒⇒ On the matter of whether the liberation of carbon dioxide and by the burning of fossil fuels is the primary cause of global warming and climate change (AGW, Anthropogenic Global Warming and climate change [ACC]), those who question that theory do not question the facts about amounts of carbon dioxide present over time and they do not question the changes that have taken place in temperatures; they merely point out that the known and accepted facts show that there have been periods of time during which carbon-dioxide levels were very high while temperatures were very low, and that during several periods when carbon-dioxide levels were increasing the Earth’s temperature was not increasing or perhaps even cooling . Furthermore, those who question AGW point out that the prime evidence offered for the theory is no evidence at all, merely the outputs of computer models that are supposed to take into account all the important variables — even as it is obvious that they do not do that, since those computer models do not provide an accurate record of the actual temperature changes that have been observed over many centuries. the claim of consensus has been the first refuge of scoundrels; it is a way to avoid debate by claiming that the matter is already settled. . . . Consensus is invoked only in situations where the science is not solid enough. Nobody says the consensus of scientists agrees that E=mc2. Nobody says the consensus is that the sun is 93 million miles away. It would never occur to anyone to speak that way . When the assertion of consensus does not suffice, then the ad hominem tactic of crying “denialism” is invoked: the last refuge of intellectual scoundrels who cannot prove their case by evidence and logic.